I'd like to inform you that in the coming weeks a new concept in short game instruction will be coming to Singapore. Edge Golf Singapore will be hosting short game performance schools at NSRCC Kranji on Saturday June 25th and Sunday June 26th. The schools are designed with one goal in mind, to get you shooting lower scores the very next time you play. The schools will offer half day comprehensive instruction beginning with a Tier 1 - Fundamentals School. 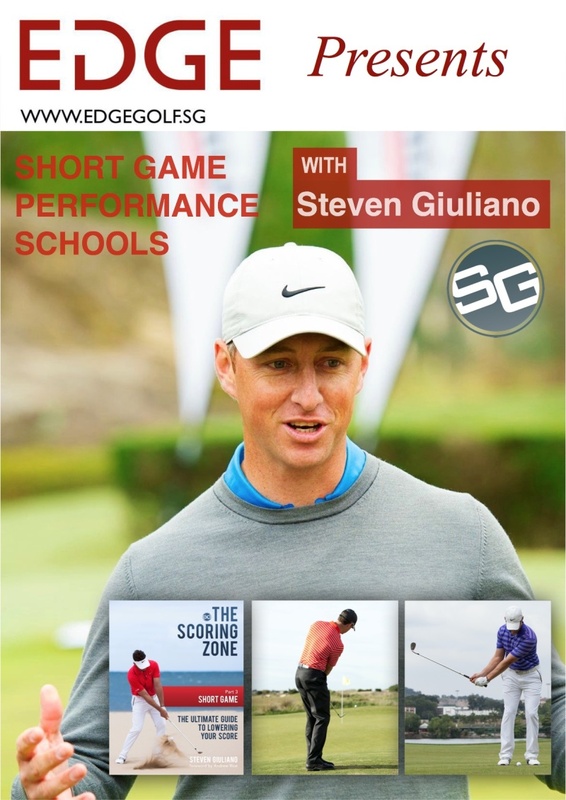 Students will receive class notes on the content covered and video reviews of their short game as well as a copy of Steven's the short game eBook on The Scoring Zone which has over 15HD videos on practical training drills for the short game. Just a quick thank you note to some of the members who have registered for the golf schools over the weekend. We have decided to cancel Monday's schools as most of you are only available on the weekend and with that we have added an extra class on Saturday afternoon 3pm-6.30pm as we are now fully booked for Saturday. We ask that you bring along your full-set of clubs, premium grade golf balls will be provided on the day. Also if you could arrive 15 minutes or so before class for officially registration and this will allow us time to take some initially data via video and Trackman for your pitching and chipping.